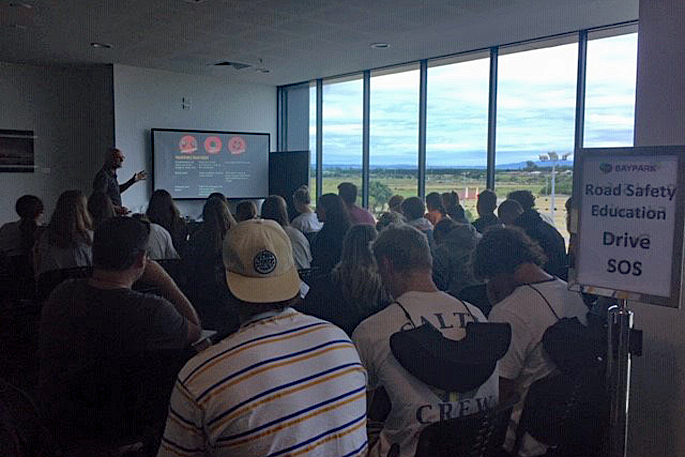 Students from Mount Maunganui College attending the RYDA programme. A total of 88 young people aged 15-24 died on New Zealand roads in 2018. Last year is being described as a tragic year, with 379 people losing their lives on our roads, up 16 per cent compared to 2016 and up nearly 30 percent overall since 2014. 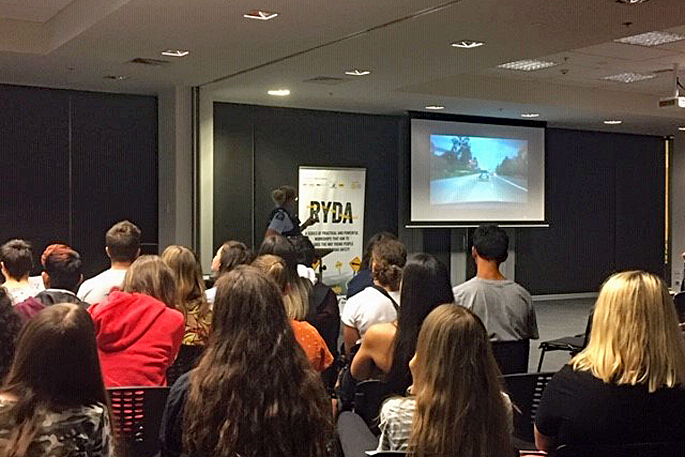 For the first time in Tauranga, year 12 students from Mount College, attended RYDA – a potentially lifesaving road safety education programme - and learnt skills and tips all about driving. As students make their way through high school, they also get to the age when they are able to get their license. Road Safety Education are providers of the RYDA programme, a series of practical and powerful workshops for high school students that challenge students to change the way they think about road safety and lay the foundation for safe road use throughout their lives. Statistics show that the most dangerous time for any young road user is in the first six-to-12 months of being a solo driver. Road Safety Education Programme Manager Maria Lovelock says young people continue to be over represented in deaths and injuries on our roads. “It’s a national tragedy that 88 young people aged 15-24 died on our roads last year. At today’s workshop, students worked their way around six different workshops, with them being as interactive as possible. “We want the students to be able to walk away from here with some key skills,” says Maria. “We want them to think about the decisions that they are making and that their mood, personality and if they are a risk taker or not all effect how they drive. Throughout the workshops, students are shown videos, have a presentation done by police, and a chat with a serious crash victim. Resources are also given out to teachers to take back to school, so it’s not just a one day thing, they can bring it back to the classroom and continue to learn. More than 7000 pupils across New Zealand partake in the RYDA programme, with the second set of workshops being held on March 25, where students from Tauranga Girls’ College, Papamoa College and Katikati College will attend. “There are a number of reasons, some outside a young driver’s control, why they are at such high risk. Their brains are still developing, they exhibit sensation-seeking behaviour, they are greatly influenced by peer pressure, they often drive less road-worthy cars, can be sleepy and often drive at night or for ‘fun’,” says Maria. The RYDA programme is a community based initiative coordinated through local Rotary Clubs to help make our roads safer, with the support from corporate sponsors including BOC, NZ Steel, Bridgestone, AMI and the Alexander Group. 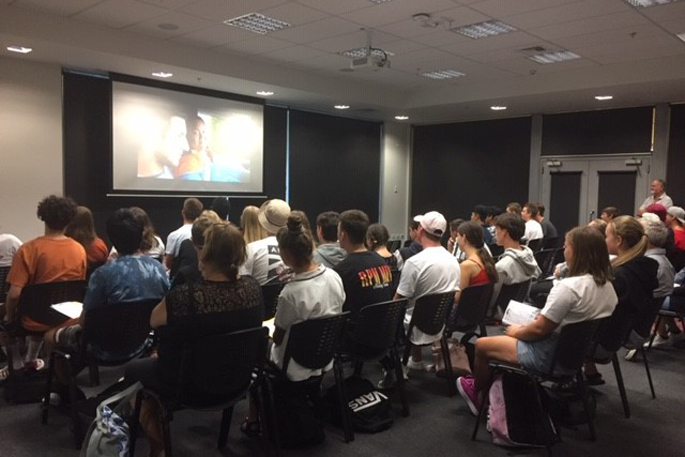 In Tauranga the programme has been supported by the Tauranga Te Papa Rotary Club, The Warehouse Tauranga, Tauranga Crossing and Papamoa, as well as a COGS grant which has helped all students attend the live saving course for free. The Tauranga Te Papa Rotary Club, made sure that all the costs were covered for the students including the bus fare so if they had zero costs, it meant zero excuses not to attend. To date, more than 50,000 students have completed the RYDA programme in NZ. RYDA teaches drivers how to manage distractions, gives them an understanding and acceptance of the rules of the road and the laws of physics. It helps them to plan their journey and gives them strategies to avoid risk. It teaches passengers how to contribute positively to the car’s environment and speak up if they are uncomfortable.